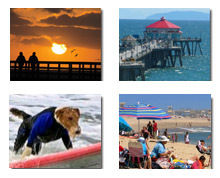 Can You Catch Grunion From a Pier? Savvy sports fishermen know that fishing off California public piers is free (with some limitations as to what can be caught.) So it didn’t surprise me when I worked in California tourism to answer literally thousands of queries about fishing for grunion. People asked what it was, how they do it, how much does it cost and can they fish for grunion off a pier. March 21, 2019, 10:45 p.m.-12:45 a.m.
March 22, 2019, 11:20 p.m.-1:20 a.m.
March 23, 2019, 11:55 p.m.-2 a.m.
March 24, 2019, 12:40 p.m.-2:40 a.m. If you don’t catch them then, you’ll have to wait till June 3rd, as April and May are observation months only in which the public is not allowed to catch grunion. There are actually only 34 days in 2019 in which you are allowed to catch grunion so we’re here to give you a little run down on the process and considerations. First, an excellent way to get up to speed on grunion is the Grunion Greeters program at Cabrillo Marine Aquarium in San Pedro. You actually get orientation, then get to go out to the beach with experts who will show you the grunion. Grunion fishing requires a fishing license for anyone age 16 and older. Grunion are only caught with bare hands — no buckets, traps and other devices are allowed. With that in mind, you wouldn’t be permitted to catch grunion from a pier in California. Now comes the tricky part! Some beaches close at 10 p.m. So what’s a grunion runner to do? You need to check with the local beach operations offices and ask them how it works. They will explain their policies and parking situation. 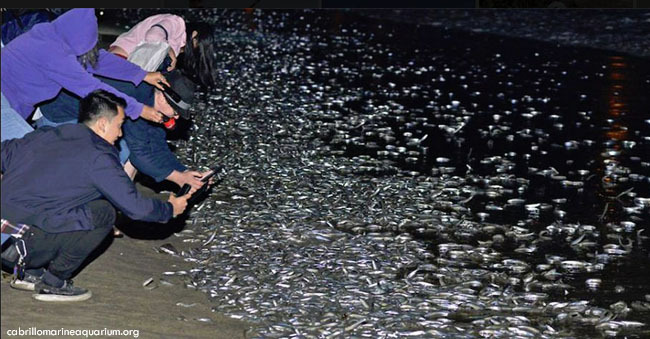 What are grunion good for? Can you eat them? Yes! They are small fish that fry up and offer nutrition in casseroles and other dishes. The public is urged to only catch what they plan to eat. If you decide to grunion run, it’s incredibly interesting and fun. We hope you find some of our tips helpful.